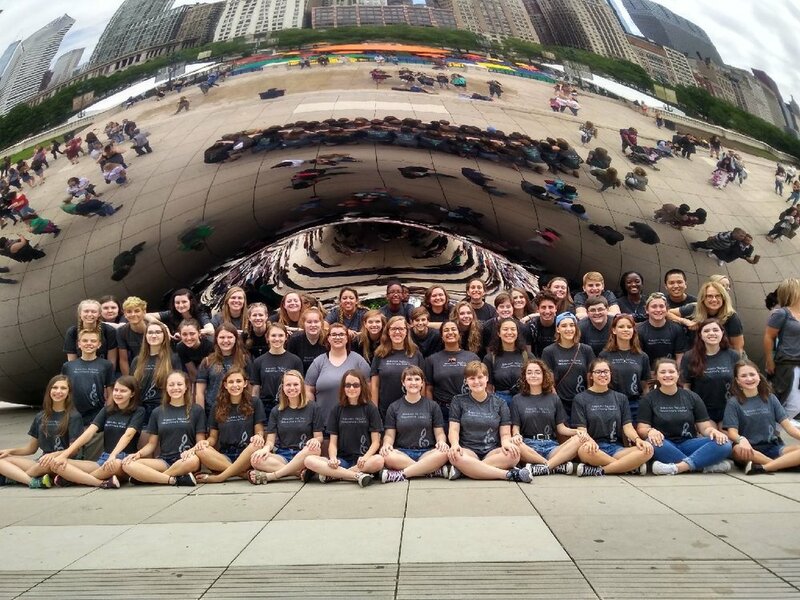 The C Choir had a great trip to Chicago and the Midwest! They sang at a festival in Chicago with several other Children's Choirs from around the nation with special guest conductor, Lynnel Joy Jenkins. The final festival performance was at the beautiful St. James Cathedral. It was magnificent! Also in Chicago they had lots of FUN with free time, shopping, sight-seeing, a Lake Michigan Boat Cruise, and a special Senior dessert night! 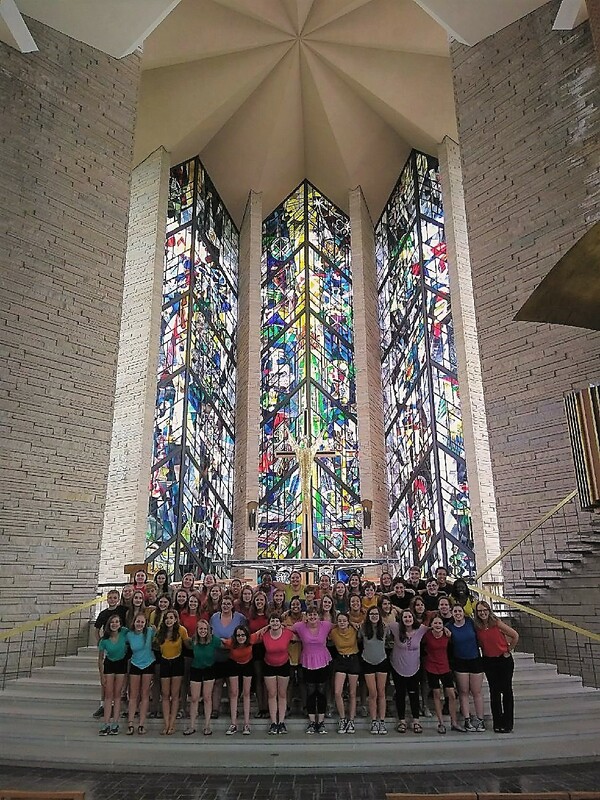 Next on the trip was a stop at Valparaiso University, Ms. Davidson's Alma mater, to sing in the Valparaiso Chapel. Then it was a visit to Amish County in Shipshewana, IN! The choir enjoyed dinner at an Amish farm and after dinner everyone sang songs for each other. A truly beautiful moment sharing music together. The next day the choir gave a concert in Coldwater, MI at First Baptist Church of Coldwater. Ms. Davidson is a 1977 graduate of Coldwater High School and it is always so special to bring the choir back to her home town to perform! After the concert, it was time for cookies at Grandma Myrt's house! The last day was a super fun-filled day at Cedar Point Amusement! Everyone made it home safely and it was a wonderful trip!